Shure recently introduced the more affordable SE110 Sound Isolating Earphones, which are aimed more towards average consumers. This is great purchase for iPod, ZEN, and Zune owners plus for those who wish to listen to music on their computers. Even though these earphones are the furthest down on Shure’s product line, with their MicroSpeaker and Sound Isolating technologies, these will offer an incomparably better performance than generic headphones included with your media player. In addition, as always, Shure will include a variety of Sound Isolating Sleeves (aka. 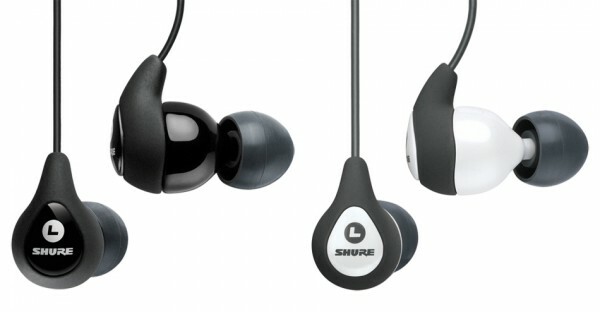 earpieces) in three sizes to ensure that they will fit your specific ear. The headset’s cable is also modular, including a 3-foot extension for personal customization. Other than extra ear pieces and cable, Shure also throws in a carrying case. And finally it come standard with a Two-Year Warranty. The SE110 will be available in stores in just two weeks, September 17th to be exact. It’s MSRP is set at $119, however will be available in retail stores for just $99! Shure also offers a variety of accessories including music phone adapters. We’ll be getting a pair to review very soon, so check back! Meanwhile, please take a look at our review of Shure’s $150 SE210 from earlier this year.